The highlight of my one month adventure in Italy was a small dot on the map named Saturnia. This quiet little village is located almost exactly between Rome and Florence. 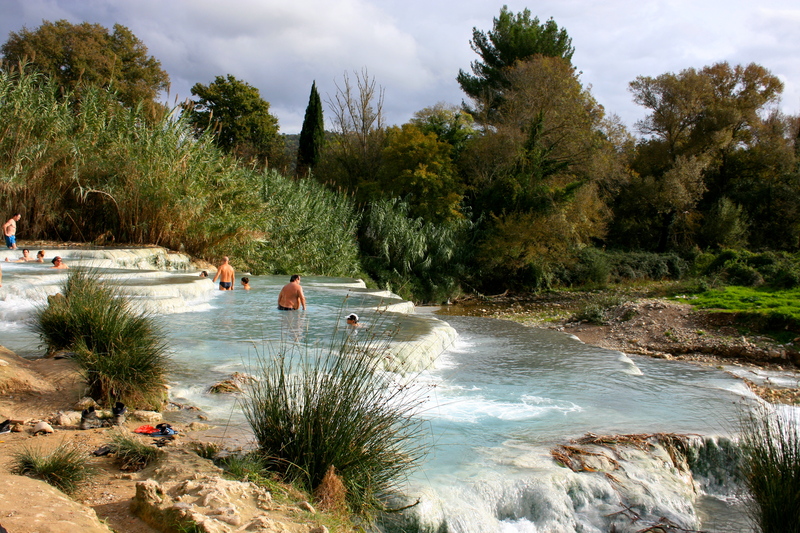 Just a couple kilometers outside of the village is Cascate del Mulino, an all natural hot spring. This spring is open year round and free to the public. The hot spring is actually a waterfall next to an old mill. Its clear aqua blue water and white mineral steps are picturesque in its beautiful tuscan olive grove setting. The sulfur water is at bath temperature (37.5°C) and the water gets warmer the further you sit up the waterfalls. Each step of the waterfall is at perfect seat depth. To get to the falls, the easy way is by car. 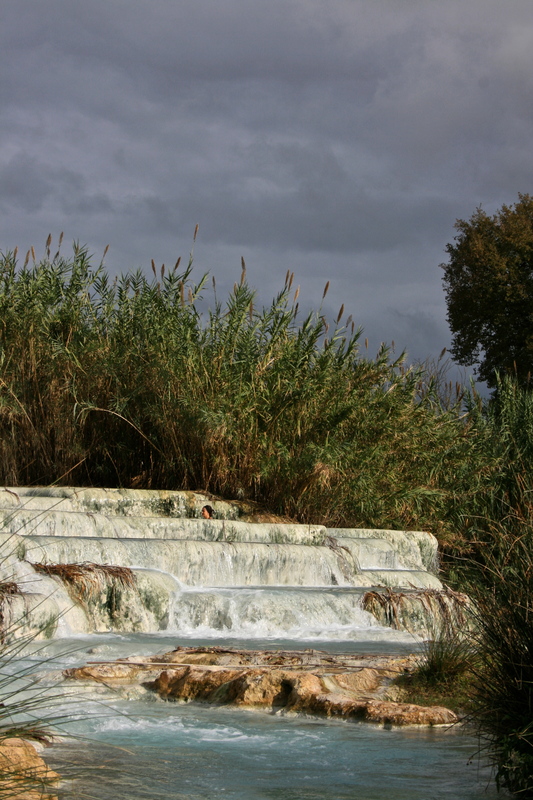 Saturnia is 180km from Rome and 200km from Florence. If traveling by train, Albinia is the closest train station but not all trains stop here. The next closest station is at the coastal town of Orbetello. From there you will need to take a bus. 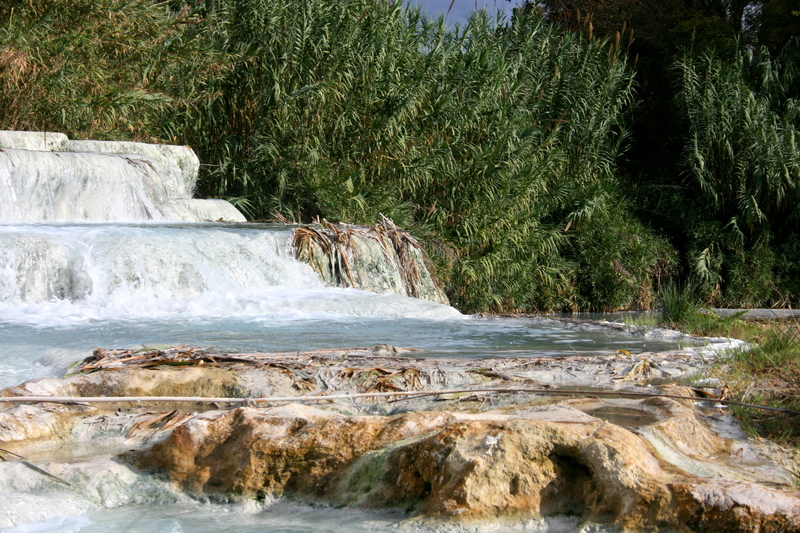 Don’t forget to visit the village of Saturnia. It is a quaint, quiet little town with some great traditional tuscan food to offer. Try the risotto raviolis with the local boar ragu paired with a good red wine and you won’t be disappointed. Hello, can you tell me how you got there. It looks a little tricky?